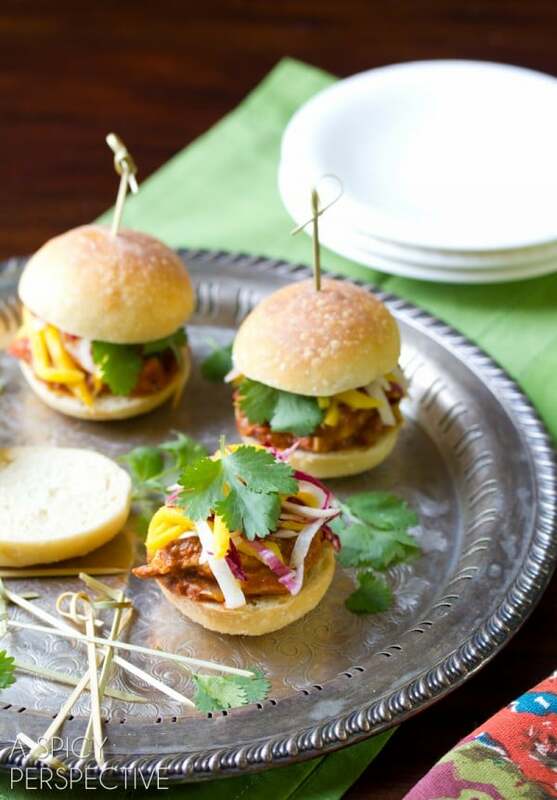 These zippy Butter Chicken Sliders provide the comfort of mini burgers with the exotic flavors of India. I have an exciting new program to share about one of my favorite ingredients, butter! I’ve always been a fan of Land O Lakes® Butter, so I’m excited to share that I’ve partnered with Land O’Lakes and Ree Drummond, The Pioneer Woman, to bring you Kitchen Conversations, ongoing conversations on food trends, tips and recipe ideas. Three other food blogger friends will be joining the conversations as hosts: Brenda from A Farmgirl’s Dabbles, Julie from The Little Kitchen and Maria Two Peas & Their Pod. The goal of the Conversations is to inspire home cooks to feel more confident in the kitchen and to provide a platform to learn from each other’s hits and misses. You can follow the food-filled conversation and recipe ideas through the hashtag #KtchnConvo on Twitter, Pinterest and Instagram. Of course, I’ll also keep you up to date through ongoing blog posts and recipes here on A Spicy Perspective. Our first topic of Kitchen Conversations is food trends! We food lovers often pay close attention to what’s going on in the culinary scene across the country and globe. Every year, new ideas burst forth from renowned chefs as well as creative home-cooks, ideas that take the nation by storm. Remember in the 1990’s when sun dried tomatoes seemed to be everywhere you looked? Or more recently when every fine-dining establishment and greasy spoon had a dish smothered in balsamic reduction? What about cake pops and cupcakeries? Both are fabulous ideas that started a revolution.These concepts became trendy, because they were tasty and inventive, and the rest of us reaped the delicious rewards. It’s fun to watch what’s coming down the culinary pipeline so you can experiment with food trends at home. Hey, I didn’t come up with this stuff, but I’m happy to experiment with them. I’ve already noticed several of these food trends taking form, and my favorite by far is the idea of Comfort Food Gone Global. After all, I love comfort food, and I love global cuisine, so why not put them together? Today’s dish is my take on the new food trend, Comfort Food Gone Global. 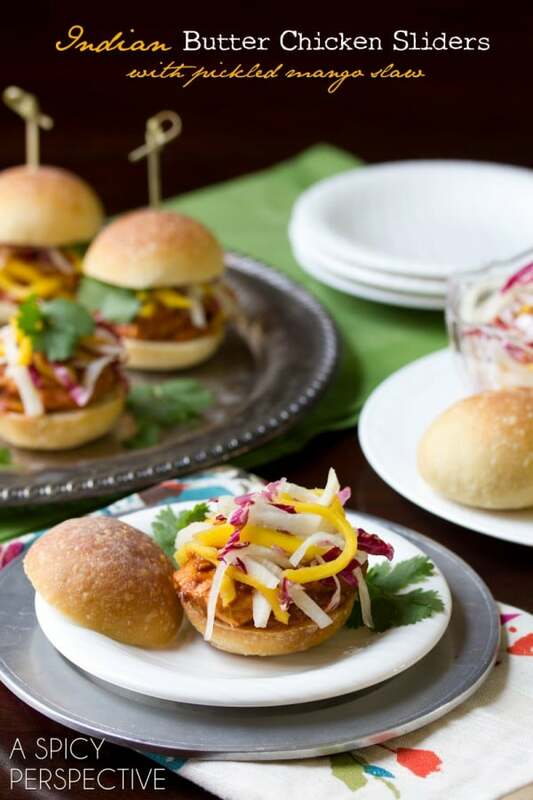 These zippy Butter Chicken Sliders provide the comfort of mini burgers with exotic flavors of India. 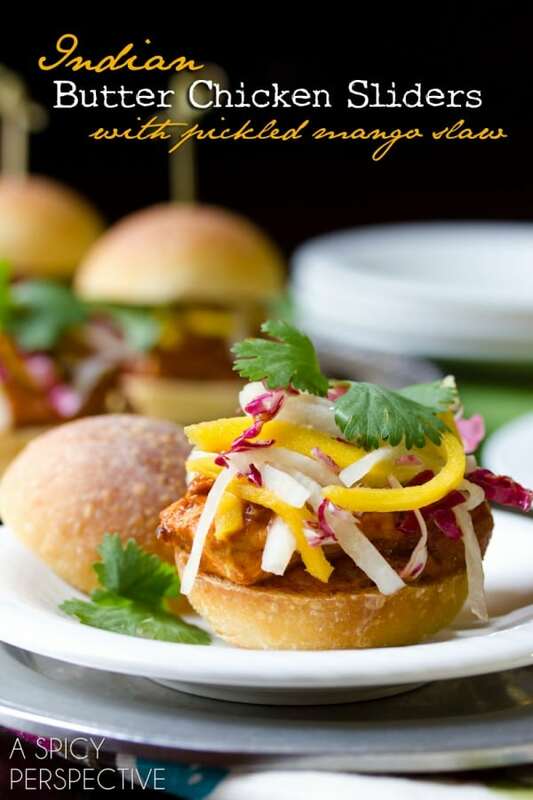 Each little slider is layered with a chicken cutlet bathed in a rich, buttery Indian curry made with creamy Land O Lakes® Butter, then topped with a pickled mango slaw and cilantro. Butter Chicken Sliders are magic… I’m pretty proud of these bold little beauties. 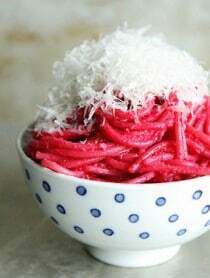 You can experiment with food trends at home, as well. Stock up on staple ingredients. If your pantry is stocked, it’s easier to be creative when the moment strikes. Stock up on: butter, flour, salt, herbs, spices, canned beans and tomatoes, pasta, vinegar and honey. Don’t be afraid to spice things up. Make use of your spice rack by adding exotic spices to every-day dishes. When experimenting with food trends, start simple. Take a favorite dish and incorporate a unique ingredient or cooking technique. That way, you know right away if you like the concept without investing a lot of time or money. Life and cooking are all about balance. Adding contrast to dishes makes them well rounded and enjoyable. A balanced dish is a disappearing dish. Fatty rich foods often benefit from a little acidity. Sweet dishes could usually use a little salt or spicy heat. Spicy foods are great with something creamy or cooling. Bitter foods often need a little sweetness. Discover new food trends by dining out late. 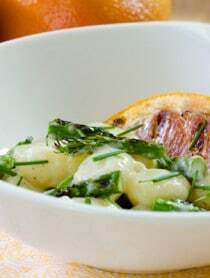 Chefs often try out their experimental dishes on the late-night, more adventurous diners. You can get some great inspiration by eating out after 9 p.m.
Here’s how I made these Butter Chicken Sliders…. Mix the hot water, sugar and vinegar in a medium bowl. Add the julienned mango and stir. Set aside. 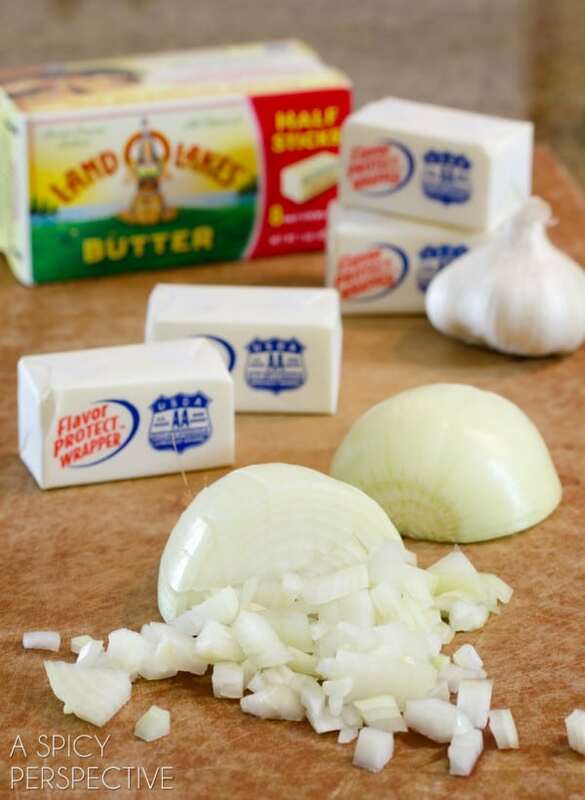 Land O Lakes® Butter, onions and garlic and sauté for 10 minutes, stirring occasionally. Then add the spices, salt, crushed tomatoes and paste to the pot. Cover and turn the heat on low. Simmer for 10-15 minutes. Stir occasionally. Cut each chicken breast into 4 pieces, each about the size of the rolls. Stir in the heavy cream, then gently lay the cutlets in the butter chicken curry, layering the cutlets to make sure they are all flat and covered with sauce. Cover the pot again and simmer another 7 to 9 minutes, until the chicken is cooked through. 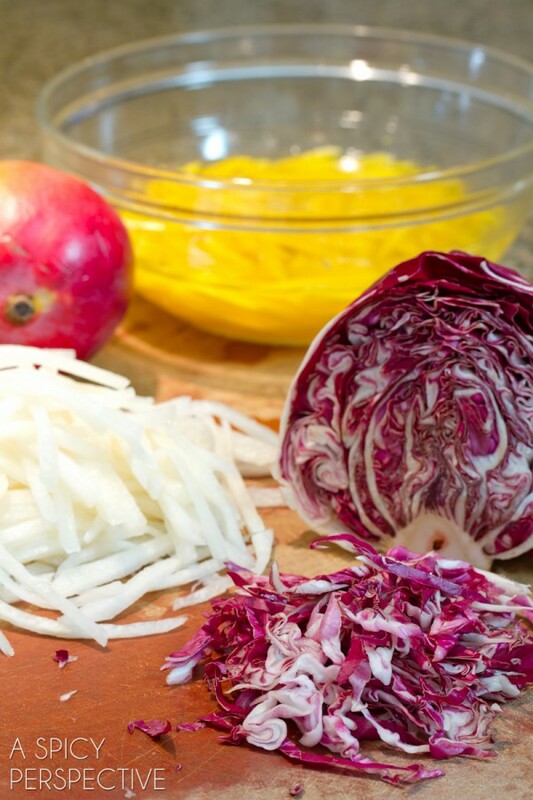 Meanwhile, drain the mango, then add the jicama and radicchio. Toss and set aside. To assemble: Open the rolls and place one chicken cutlet on each roll with a generous spoonful of sauce. Top with the pickled mango slaw and several cilantro leaves. Place the bun top above and enjoy! 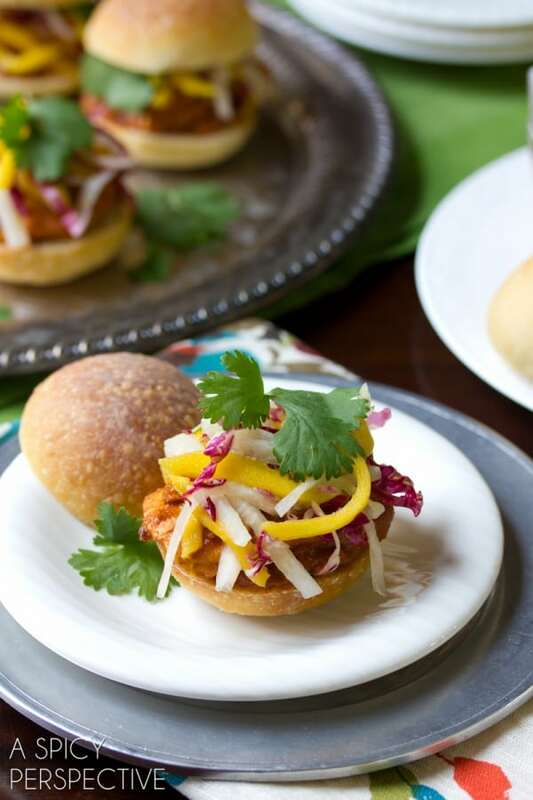 These zippy Butter Chicken Sliders provide the comfort of mini burgers with exotic flavors of India. 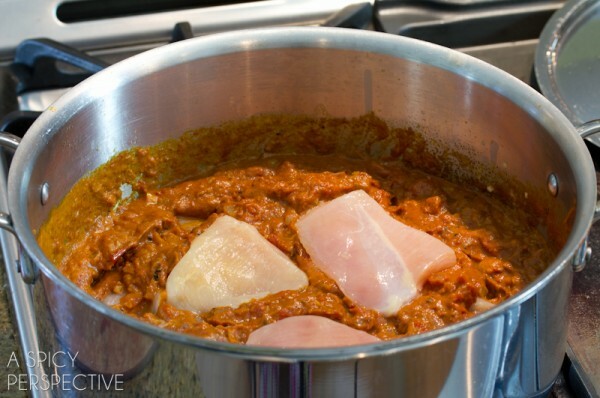 For the butter chicken, place a large saucepot over medium-low heat. Add the Land O Lakes® Butter, onions and garlic and sauté for 10 minutes, stirring occasionally. It would be fabulous to win your give a way. Butter and bacon make everything better. I received my Giveaway package today and everything looks great, but I did not receive the large platter. It could come separately. Do you have an idea of where it could be?? I’m most excited about Creative Popcorn Snacks, because I’m a popcorn fanatic. Looks good! We use Land o Lakes butter all the time. Th sliders look amazing. I love comfort food with a twist. We love Butter Chicken. What a great idea to use it for sliders! I love the trend toward locally grown produce. Coconut Oil. I am amazed at all the uses! Definitely most excited about the Comfort food trend! I’m excited about the Comfort Food trend. That just never goes out of style, does it? I always cook with Land o Lakes butter, and bake with the unsalted Land of Lakes. This recipe looks delicious and I will have to try. My favorite food trend is variety, meaning lots of different foods either cooked or raw. I love merging all kinds of different flavors into my burgers! I am excited about family style meals! Food trends that I love and follow – hmmm, that’s a hard one. I love sustainable fish and seasonal produce. I love the trend of using fresh everything, from herbs to produce. I also love many of your recipes. Thank you for sharing. Mmmmm…if this is comfort food gone global, I’m in!!!! I like my comfort foods. But I like that my comfort foods can have a healthy version too. Those look delicious and I love your blog! I just read an article that restaurants are moving toward family style meals and I love that. I am excited about comfort food gone global. Love the idea of clean eating! I try to do this as much as I can. I like the stir fry food trend. Oooo, these look delicious. I love butter chicken but I never would have thought of making a mini sandwich from it. What an ingenious idea! Oh man it’s lunch time here and all I can think about are these sliders! Definitely need to make them soon! And thanks for the awesome giveaway. I am most excited about cauliflower. I think I’ve tried cauliflower once in my life (so bad) but I’m determined to incorporate it in my diet more this year, starting with a cauliflower pizza crust! … it’s not a meal if it doesn’t include butter !! I love that you put butter chicken on a bun. I am excited about vegan recipes that are delicious and packed with protein! I am not vegan, yet I am not a huge meat fan and struggle to get decent protein into my diet. 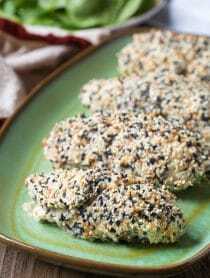 I am excited about the Ancient Grains food trend! I am excited for everything popcorn! I love all food trends on all the healthy & veggie-filled recipes! Mmm. What an awesome idea! I am loving exploring new-to-me eats and cultures of late – especially recreating things in my own kitchen. I’ll have to give this a try! The food trend I am most excited about is Asian influence – I’m a sucker for anything asian – and I love sliders too! The food trend I love is the iron cookware coming back into popularity! It makes a beautiful brown, crusty sear when you add your food to the pan of bubbling Land of Lakes butter! These sliders have been calling my name all week! Just scrumptious darlin’. What an awesome giveaway! And i jsut found your blog…so far, i’m loving everything! seriously, what a wonderful job you’ve done! Would probably be the comfort food trend. More meatless dishes are my favorite trend. I too love comfort food with a twist. I love the Asian fashion trend! Those look amazing, can’t wait to try them! I normally don’t even like chicken… but whoa – these sliders look bangin! Hello, yummm!! We love butter chicken, turning it into a slider is genius. I’m excited about the increasing number of food trucks here in Columbus. We’ve tried a couple of them and the food has been very good. This recipe sounds great. 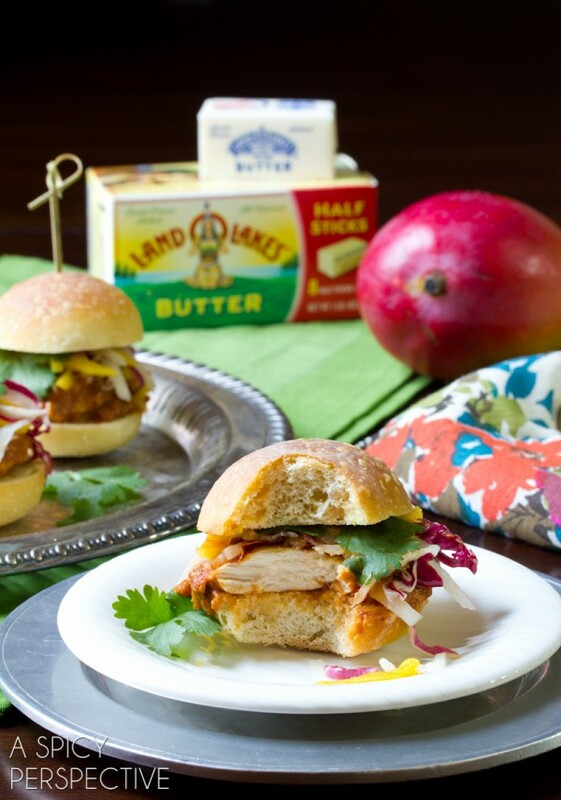 Not only do I LOVE Butter Chicken, but the idea of Sliders with Butter Chicken is even better! Thanks for sharing! These look tasty and so cute too! I’m excited about eating more vegetables! I like the trend toward making more foods from scratch. I love the slaw for this! I am most excited about Blondies instead of Brownies. I’m most excited about the Farm to Table trend. The more widespread it is, I think the easier it will be to have access to such amazingly fresh ingredients! I think veggies roasted in butter is trending and will be one of my favorites! Love cooking with Indian spices, I will be making Curried Cauliflower with Israeli Couscous and Grains. I can’t wait to try these sliders..Personally, I’m going to make good use of the butter chicken recipe even without making the sandwiches, too.. I love the “Comfort Food going Global” trend prediction..
We southerners love our comfort food!! What a great recipe! All those photos are mouthwatering! Global comfort food sounds fun and interesting! I’d love to try a Chinese meatloaf! What a fun program – I always love to read about food trends – one of my favorite things to do is experiment with all different cuisines. I find the more I learn about other cuisines, the easier it is for me to meld different ingredients together. Love how you’ve done that with these Butter Chicken Sliders. No need to enter me into the giveaway (I own way too much cookware!) but yummy to the recipe. I’ve never made butter chicken, the regular way, let alone sliders. I love finding new food trends and totally exploring them in my kitchen! Sounds delicious. Can’t wait to try this recipe! 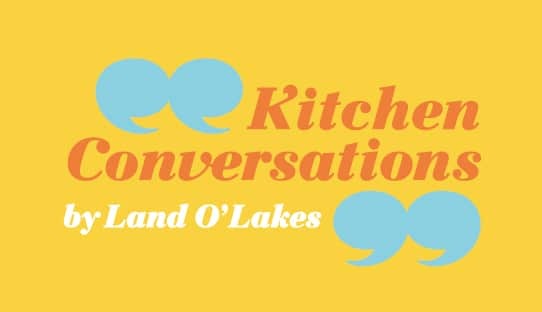 And congrats on Kitchen Conversations — looking forward to it! Giving comfort food a healthy makeover! Comfort food and food with great flavor and spice is what excites me. Thanks for offering the giveaway. Cauliflower because I love it! These look very different and good. I like the trend of meatless meals once a week. Usually referred to as meatless Monday, we do it once a week, it not on a set day. i love any food, but when it comes to homemade pasta its the best. but i love baking as well. Oh. My. Goodness. If I don’t try these stinkin’ cute sliders, I must try the butter chicken! I also love the idea of global comfort food… give me a good Tom Yum soup when I am sick! Lighter recipes now that spring is almost here! I love seeing all the cauliflower recipes coming out lately. Pies, Pies, Pies – I see pies everywhere I look and I LOVE to bake pies. The food trend that I am loving is comfort food thatis made healthy with fresh and natural ingredients. Duck eggs, cauliflower and ramen – I love all of those things, excited to see what the food world has in store for them in 2013! I like appetizer party food trend. we are looking forward to trying a lot more Ethnic foods from around the globe. I love to try different palates. Thank you for the giveaway, I just love it and hope to win it. comfort good and the cupcake trend! I love the focus on whole, less processed foods. Great recipe, perfect for this weekend party. I’m gonna try it tonight first! I’ve recently discovered Indian food and I love it!! I’m most excited about the “grow your own” trend! I have lots of friends with chickens in urban areas now, and tons of gardening, most of it organic using heirlooms is going on! I love it! I think these look great. I will have to rethink my comfort food and look more for items I love on a global level. Can’t wait to get to all the bondies!! Not sure if this is a trend, but I love all the salted caramel recipes popping up on blogs everywhere. It’s the perfect salty-sweet-rich deliciousness I crave. Love the idea of comfort food gone global and your dish looks great. It is restaurant ready yet accessible to a home cook too. Can’t wait to try it! Love, love, love butter chicken. Global comfort good? I’m THERE. I like the appetizer party trend. I’m all over the ancient grains trend. Comfort foods is a trend I can connect with. I love comfort food. Thanks. Those sliders look delicious! Yum! I’m excited about the Playing with Ancient Grains food trend. Those sliders look delicious!! Healthy food that doesn’t skimp on flavor. The focus on super foods! Comfort food . . . that’s what excites me..!! This looks awesome, I’m sure my whole family will love it! Thanks! My fave food trend is seeing more organic foods on menus as well as being sold and promoted for consumers. I’m all about that duck egg trend; they’re so decadent-tasting! (And so massive!) I’d also enjoy seeing more of a mushroom trend going on. Great recipe! Can’t wait to try it. radicchio …… What is that? They look like tiny red cabbages and have a crisp bitter taste. Can’t wait to try these, they look yummy! What makes me happy is when something I’ve been using for years suddenly becomes easier to find because everyone is finally jumping on the bandwagon (see: quinoa and kale). So the ancient grains trend is working in my favor. Of the trends you listed I think I am most excited about cauliflower. I’ve already enjoyed recipes using it so far, looking forward to more! I love butter chicken, and I am also loving that Indian food is becoming more mainstream. Thanks for the recipe! Fresh and quick…it seems like every blog I follow has been full of healthy recipes that can be done in a flash. For our family, we are often trying to fit a good healthy meal in between sports practices and homework. So, this is a trend I love. Thanks for the chance to win! most excited about, comfort food. I just love it and love that the winter months bring plenty of those recipes to the forefront! I love your butter chicken sliders. So beautiful and packed with flavors. Love this…sounds delicious and looks pretty too! My family loves sliders, so good! Love these sliders! Comfort food gone global sounds incredible! Looks fantastic, Sommer!!! I want three of thee right now! Butter chicken is my favorite Indian dish. Making sliders out of it is genius! These are the cutest, I love that mango slaw! I love that you don’t have to utilize a grill! I leave that gadgit for my husband! I am most excited about the comfort food gone global! These little sliders look delicious. I love these sliders and I was so thrilled to be a part of this event. Oh I should leave a relevant comment to the prop. Haha!! I’m super stoked to try the whole mini food trend. I love that our favorite snacks are now being served in mini portions. I LOVE butter chicken!! Oh so very much! So excited to try this! Butter chicken is our ‘go-to’ menu item at our local Indian restaurant – love it. This recipe is going into our menu planner for next week – thank you for posting. I find the mango slaw to be the really intriguing part. I’m eyeing off my mango contemplating slaw instead of yogurt now. 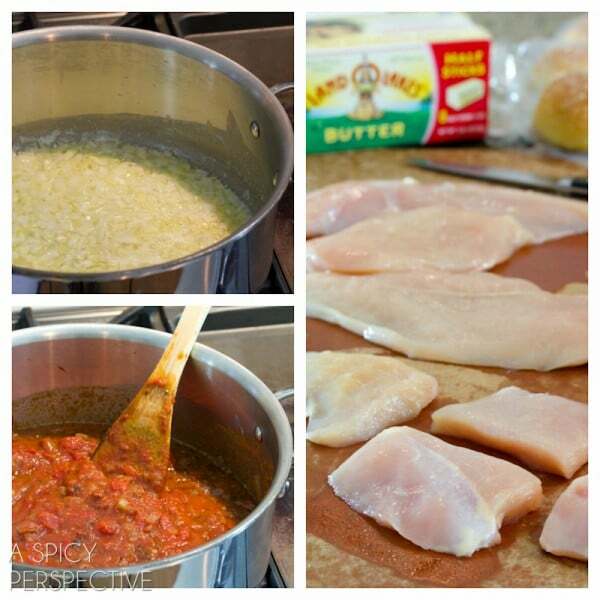 I like the trend to buy more food grown close to home…..
have always wanted to make butter chicken, what a delish sounding recipe. thanks! and the prize package looks great too, thanks! These sound fabulous! I am so into butter chicken and it would be so good in a slider with mango! I love these sliders- so fabulous ! I have been looking for a great chicken sandwich. I am going to try this. Thank you for the post. When do you add the cream? Before or after the chicken? Hi Jessica! Stir the cream in right before you add the chicken. What a great idea to make them into sliders!